The Canary Island of El Hierro lends its name to Spanish crime drama Hierro, a ‘southern noir’ story of the hunt for a killer. Executive producer Alfonso Blanco reveals all. From being named best coproduction project at Berlinale 2015, it’s been a long journey to bring Spanish drama Hierro to the screen. Now backed by Spain’s Movistar+, the series will have its world premiere at Series Mania next week. The title comes from El Hierro, a small volcanic island in the Canaries, where a corpse is found the water. Diaz, a local businessman, is set to prison for the brutal murder, until Candela, a forceful, temperamental judge, makes her first decision after arriving on the island – to release Diaz. While falling foul of the islanders, Candela believes she must do her duty, while Diaz is out to prove his innocence and uncover who has set him up. The eight-part drama comes from Portocabo and Atlantique Productions in coproduction with Movistar+ and Arte France, with Banijay Rights distributing internationally. 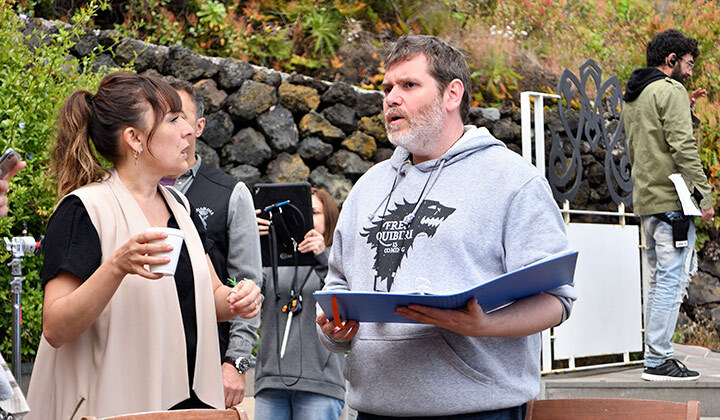 The series, which was filmed on El Hierro, was created by Pepe Moira and directed by Jorge Coira, with the cast led by Candela Peña (Princesa) and Darío Grandinetti (Wild Tales). Here, executive producer Alfonso Blanco, from producer Portocabo, tells DQ more about the series. Tell us about the origins of Hierro. Hierro was designed as a coproduction to suit the international marketplace. Having observed the market just when Nordic noir was at its peak, we devised a new term to approach the market with – southern noir. With this term in mind, a brainstorming process culminated in an original idea by Pepe Coira in line with what we were looking for. From the very beginning, a story about a judge, a singular landscape and the island of El Hierro converged as a happy starting point. How was the series developed? The series was presented to the international market, firstly, at the Berlinale’s Co Pro Series event and then at Series Mania. During these two markets, the international coproduction was confirmed with Arte and Atlantique Productions, and Banijay Rights also joined the project at this time. After this, Movistar+ came on board, this being the company’s first international coproduction. The subsequent development process involving all parties was particularly fruitful. The main characters include a judge, recently arrived on the island, and a shady local businessman, the prime suspect of the crime. In this case, the main characters aren’t police officers. It’s a crime drama in which both characters and plot were developed from a realistic perspective. Everything that happens in the series could believably have taken place on El Hierro. What do the stars bring to the series? Both Candela Peña and Darío Grandinetti are renowned faces in cinema but are new to television series. The character of the judge, written two years before the final casting decision, was already named Candela – maybe a hint that the part was waiting for her. Both Candela and Darío’s approach to acting is based on realism. They are the best actors we could have wished for and they suit the characters perfectly. What was Pepe Coira’s writing process? Pepe came up with the original idea and is the creator of the series. Over a year, he wrote side by side with a team of five writers who worked closely with both Pepe and the four coproducers. How would you describe the tone of Hierro and how did director Jorge Coira work on the visual style? Hierro is a character-driven crime drama with realism as its main focus – luminous and with great visual power. That is why Jorge Coira was the best choice. He’s a great director of actors and has his own visual universe. We conceived the series as southern noir – a place of luminous landscapes and passionate characters, full of humour and intensity, and reflecting the reality of Spanish life. How and why is the crime genre changing? Crime drama is in constant evolution. It has changed over the past few years, in the same way as other genres, but what may be different now is its accessibility. Nowadays, an audience can watch the same series at practically the same time all over the world. Crime stories engage due to their genre. To place characters in extreme situations is something that engages and excites audiences. Crime stories also have a universalising effect; the mechanics of a crime thriller can be followed in almost any country. In addition, the duration of a miniseries allows for greater evolution of characters, helping to create a frame in which to develop different stories and characters. The genre also permits a sociological approach to different realities, therefore the variety of stories is infinite. How does the series balance strength of characters with the plot? In Hierro we always had a clear idea that in a hierarchy between characters and plot, the characters came first. The story had to evolve in a natural way. To look for forced cliffhangers and effective turns wouldn’t fit into the series we were creating. We were looking for a series written upon the truth, on an existing reality, and we wanted to bring that reality into the story. The distance. El Hierro is the most remote of the Canary Islands, and getting all the equipment, the crew and the cast there was quite tricky. We also had to quantify our needs very accurately because to get things there was time-consuming. How does the setting of the Canary Islands influence the story or the characters? The protagonists of the story are not only Candela and Diaz but El Hierro too. The story couldn’t have happened anywhere else. El Hierro conditioned the life and reactions of all the characters enormously. Why do you think Spanish drama is so popular right now? Spain has been producing high-quality television drama for years, it’s not something that has just started. There is a solid television drama production industry in Spain. It began in the 1990s and now, 25 years later, it’s a very mature and capable industry. 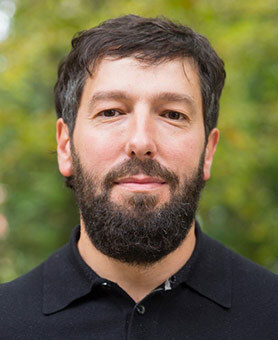 The worldwide success of series like La Casa de Papel [Money Heist] has turned the attention of international industry towards something that was already happening in Spain. How is the industry in Spain changing? What new stories are being told? In the beginning, there were only pubcasters and two private broadcasters in Spain. With the entrance of new operators, new opportunities arise. This has generated healthy competition, affecting the industry in a positive way. The OTTs and [pay TV platform] Movistar+ are not as conditioned by audiences, generating a space in which to produce more ambitious content. Now broadcasters are also open to coproductions, which will undoubtedly also affect the industry positively.